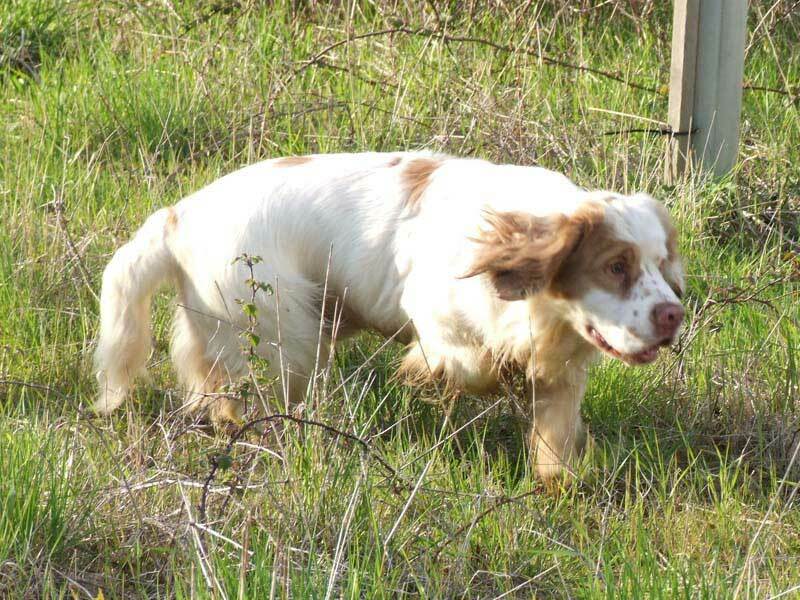 A long, low, substantial dog, the Clumber Spaniels heavy brow, deep chest, straight forequarters, powerful hindquarters, massive bone, and large feet combine to give it the power and endurance to move through dense underbrush in pursuit of game. 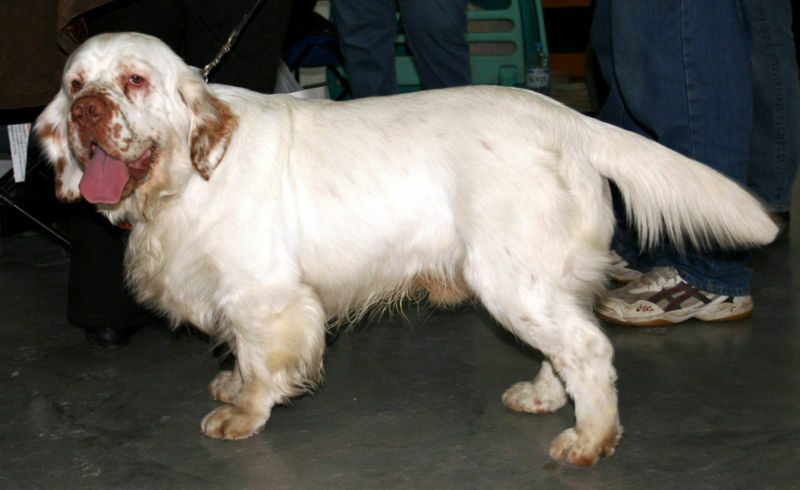 Soft to the touch, dense, straight and weather resistant, the coat is pure white with lemon or orange markings; such colors improve the dog's visibility to hunters. Rectangular in shape, the Clumber has the appearance of great power. 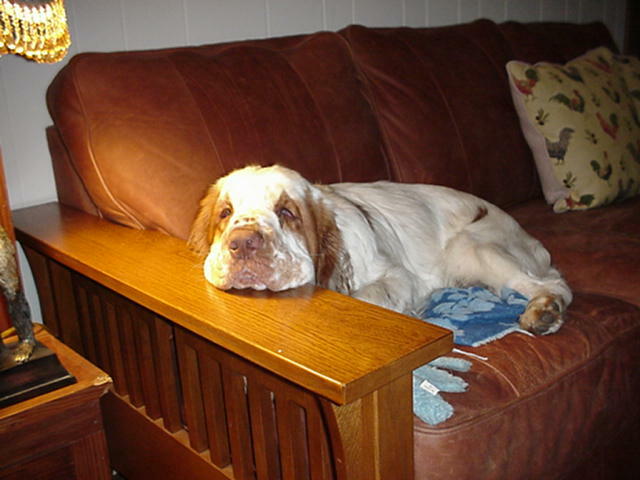 They have a massive head with a marked stop and heavy brow, and a broad and deep muzzle with a large square nose; the large eyes are dark amber in color and have a soft expression, and the ears are low set. A Clumber moves easily and freely with a comfortable gait that can be maintained at a steady trot for a day of work without exhaustion. 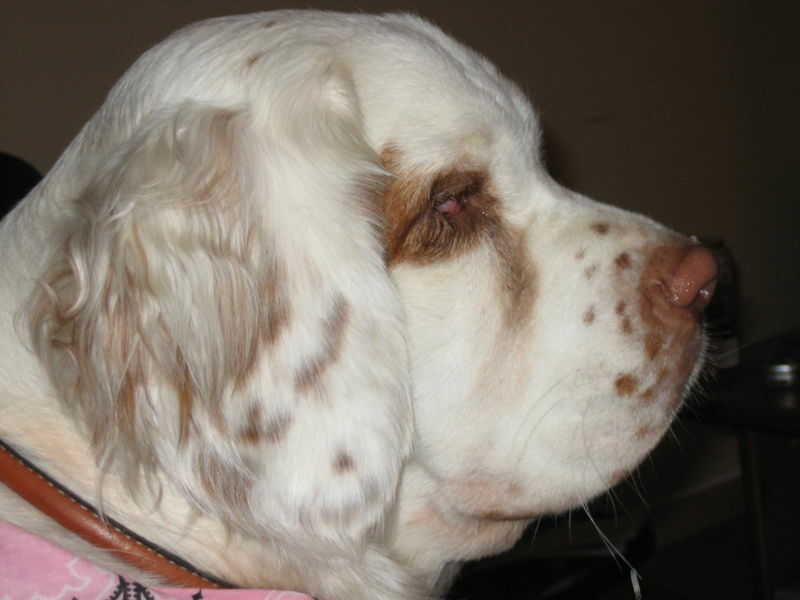 Height (Male) 19 - 20"
Common Misspellings Klumber Spaniel, Cluber Spaniel or Clumber Spanial. They demonstrate determination and a strong sense of purpose while at work. Clumber Spaniels are called dogs of dignity, meaning they may sometimes seem aloof with strangers but should never be timid or hostile. 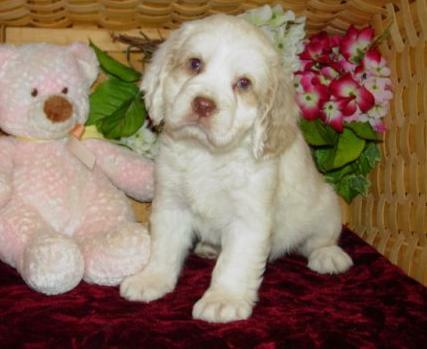 Among the most low-key and easygoing of the hunting breeds, these dogs are very affectionate and playful. Clumbers are well mannered and not very active when mature, and are usually trustworthy with the family children. 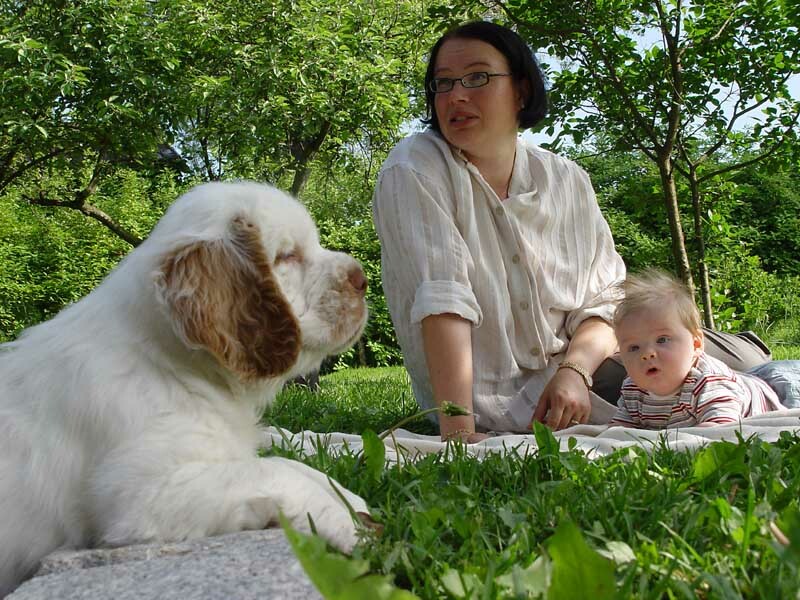 Clumber Spaniels will tolerate other pets, especially when raised with them. They tend to be a one-person dog and a bit willful. Used as hunting dogs, Clumber Spaniels prefer to hunt for pheasant and partridges, take naturally to retrieving, and are good water dogs. Clumbers love to play fetch and adults only require ten to twenty minutes of strenuous physical activity every day, so exercising them is easy. People who like to walk regularly will enjoy a Clumber; however, do not jog with this dog in hot weather. 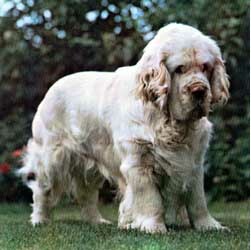 Without enough exercise, the Clumber Spaniel tends to gain weight very easily. This is a gentle person's dog; it does not take well to heavy-handed discipline and will simply not respond to it. Fortunately, this dogs eagerness to please usually makes tough discipline unnecessary. Clumbers suffer from gassiness (flatulence); those who are fed a natural diet of real meat and other fresh foods have much less trouble with this. They also slobber and drool especially after eating or drinking. Groom the coat with a comb and brush regularly; some careful trimming is also required from time to time. The eyes and ears need examination and cleaning often. This breed is a HEAVY shedder. Make sure to have good chew toys for them to satisfy their urge to chew. 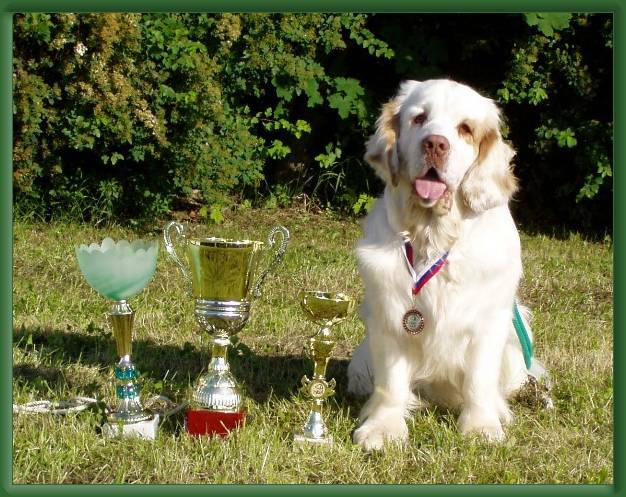 Clumber Spaniels are big time chewers when they are bored or do not get enough exercise. 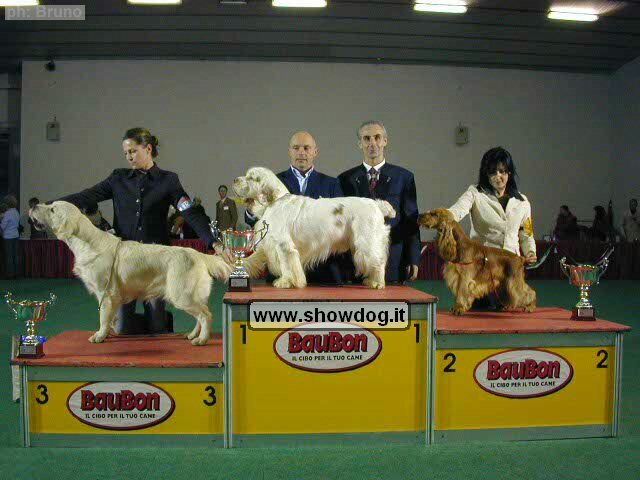 Known health conditions in the breed include intervertebral disk disease, ectropion, entropion and otitis externa. 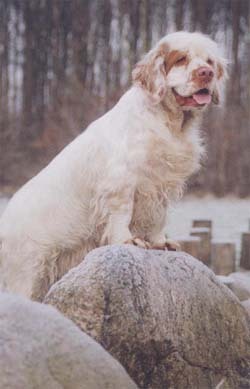 Clumber Spaniels were one of the first specialized breeds, originating in France as early as the 18th century and used to flush and retrieve birds. One story holds that at the time of the French revolution (1789), the Duc de Noailles moved his spaniels to England to ensure their safety, housing them at the Second Duke of Newcastle's kennels at Clumber Park (hence the name) in Nottinghamshire. 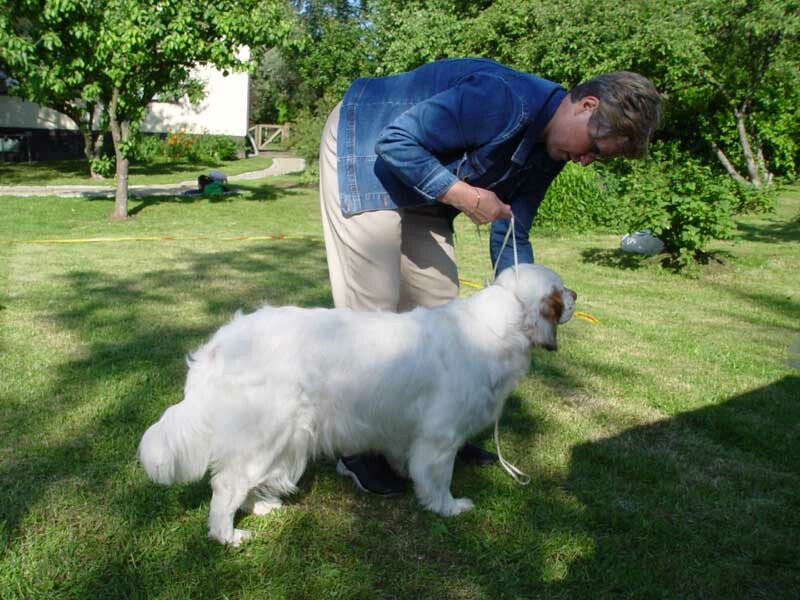 While there are no records of this story anywhere in England or France, it is known that the breed was perfected and successfully presented in its first shows at Clumber Park.A British officer brought the first Clumbers to Nova Scotia in 1844. 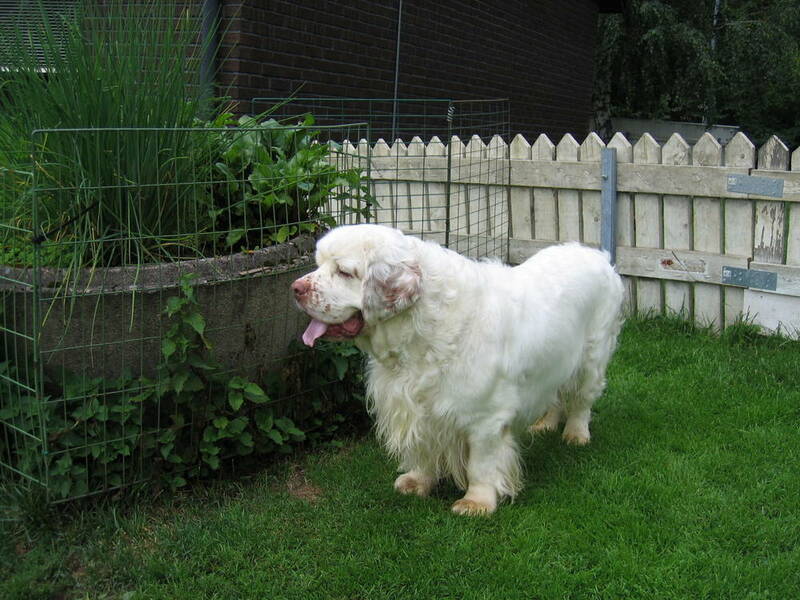 The AKC registry records a Clumber Spaniel named Bustler in 1878, six years prior to the founding of the American Kennel Club itself. 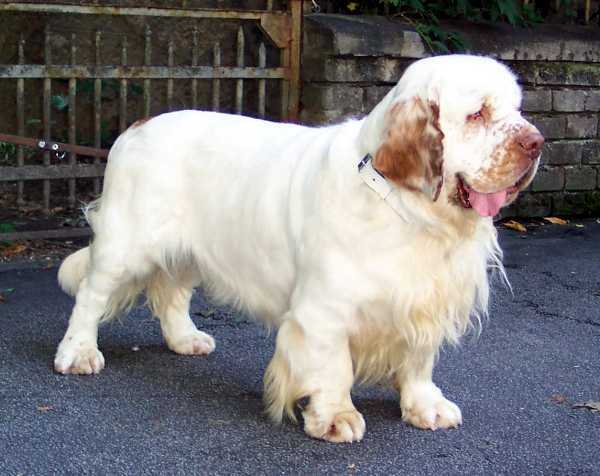 Well suited for work in thick brush, the Clumber Spaniel is an adept hunter and is especially skilled at hunting partridge and pheasant. 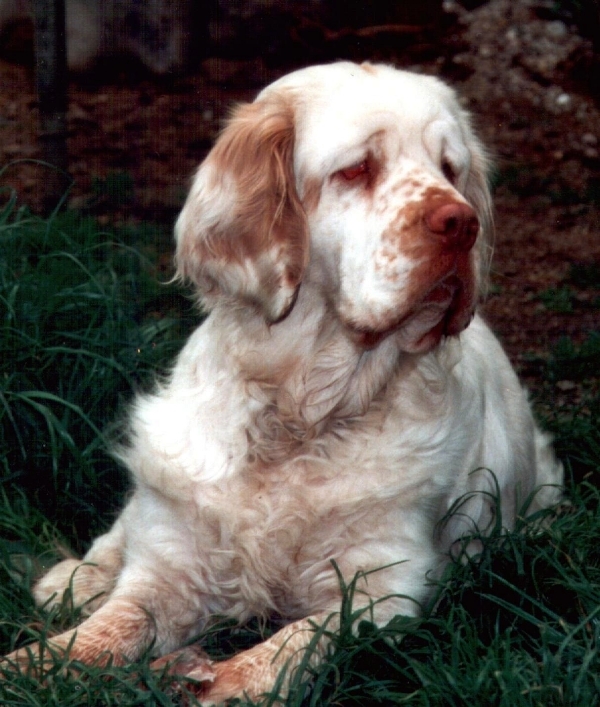 The Clumber Spaniel is not as quick as some of his spaniel cousins, but is instead a studious and capable worker with energy and scenting power to spare. 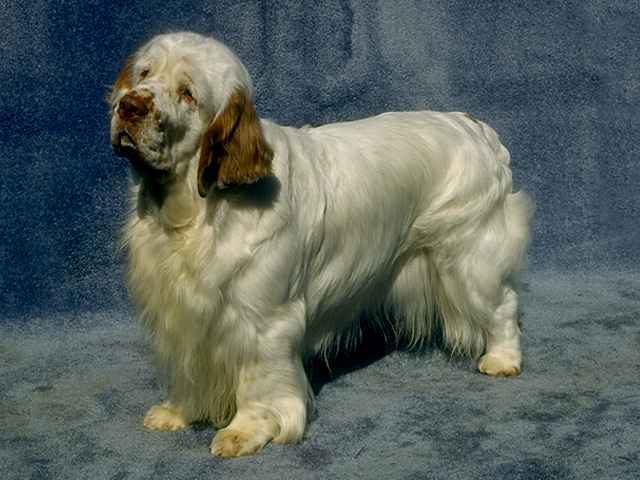 Despite its long history, the breed is fairly unknown today outside of hunting circles and the ring, and on average only 200 Clumber Spaniels are registered in the United States each year.